An original mix of soft progressive and avantgarde atmospheres is the distinctive sound of Pierrot Lunaire, highly regarded among foreign collectors though not particularly representative of the italian prog. The group was based in Rome, and initially formed by close friends Gaio Chiocchio and Vincenzo Caporaletti (who came from Roseto, Abruzzo) who later recruited keyboardist Arturo Stalteri. All the three members were classically trained and still in their teens when their first LP was released in 1974. Their two albums are expensive due to the high request and the limited distribution made by the RCA subsidiary It that released them. The first, Pierrot Lunaire, contains 12 songs, with acoustic atmospheres mainly based on guitars and keyboards, soft, dreamy and intriguing. There are good tracks like the opening Ouverture XV, but the album can be boring to the more rock-oriented prog fans. Second album, Gudrun, recorded in 1975-76, was planned for release in september 1976 on the experimental Vista label, but it was delayed and released a year later. It saw the entrance of the welsh soprano Jacqueline Darby, replacing Vincenzo Caporaletti that was more interested in jazz, and a sound shift toward a classical-inspired avantgarde, more disjointed than their first work. The trio was assisted by a guest drummer, Massimo Buzzi, on three of the eight tracks. Continuous rhythm changes, musical and spoken samples, classical inspired piano and vocal parts, are the main ingredients of this album that can bring to memory early Faust or similar groups. 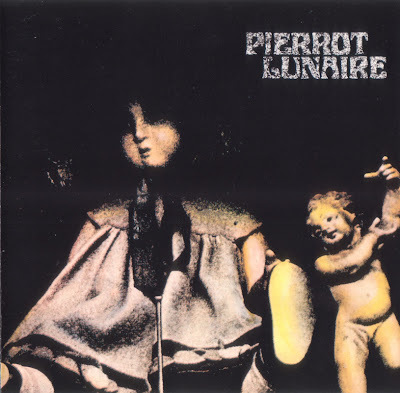 After the second album Pierrot Lunaire ceased to exist as a group. Stalteri and Chiocchio were involved in Emma Muzzi Loffredo's Tu ti nni futti album from 1977, also on It label. Arturo Stalteri released an instrumental solo album in 1979, André sulla luna. Gaio Chiocchio became musical director for the It label, subsequently forming the electro pop Effetto Notte in the 80's and had a solo single in 1982 on RCA subsidiary Una Sors Coniunxit. Vincenzo Caporaletti composed a rock opera called Gli specchi in 1976, before moving to the USA in early 80's to work as session musician and arranger; returned to Italy he played for a short time with singer/poetess Terra Di Benedetto (from Albergo Intergalattico Spaziale) and later with former Area rhythm section of Ares Tavolazzi and Giulio Capiozzo. In the early 90's Chiocchio and Caporaletti reformed a new studio version of Pierrot Lunaire, and the tracks recorded for a new album were never released due to the sudden death of Gaio Chiocchio in 1996.